This product is expected to ship on Thursday, April 25 if you place your order within the next 11 hours and 14 minutes. 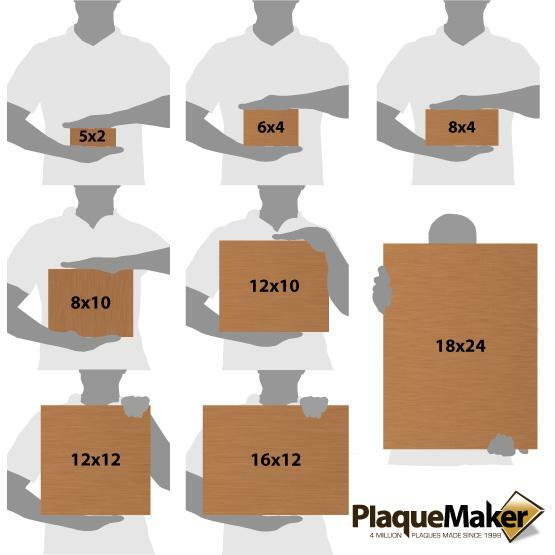 Create personalized laser engraved - laser fused copper signs at PlaqueMaker. 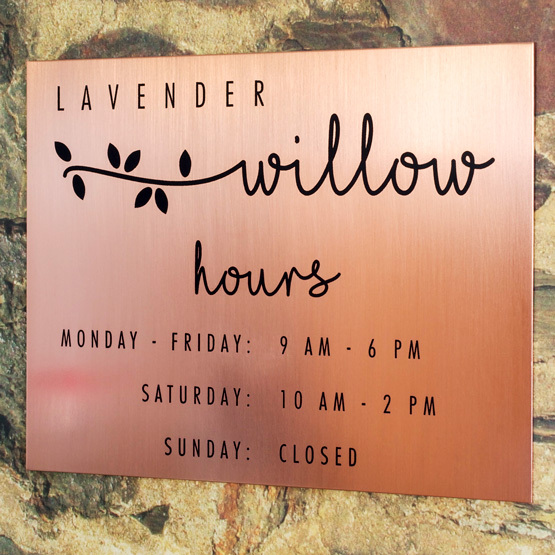 Beautiful copper provides richness to your next sign project. 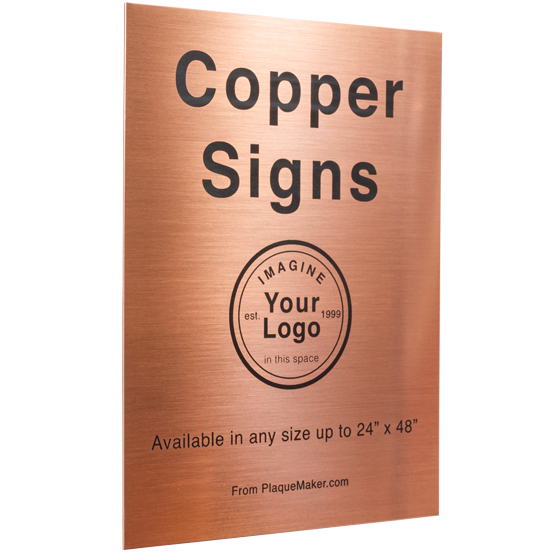 Our copper is perfect for memorials, dedications, gifts, and more! The item arrived quickly and was just as described. I would definitely use this company again!! I got a copper plaque and used Copperplate font on it. Very classic, nice heavy metal, job well done. Looks great on the art we are using it to identify. With God as my wtness, PlaqueMaker is the best Plaque Maker I've ever used!